The most beautiful 4 Star Superior Hotels in South Tyrol: spend the best time of the year at the popular Dolce Vita Hotels, surrounded by welcoming hospitality and an impressive natural landscape. The 5 charming Dolce Vita Hotels invite to relaxing holidays in the picturesque Vinschgau District and the delightful Merano Region. Use the Dolce Vita advantage: Book one hotel – enjoy 5! 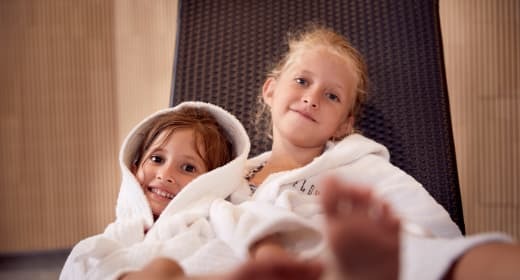 Enjoy fantastic holidays at these charming wellness & spa hotels in South Tyrol: the individually run Dolce Vita Hotels in the Vinschgau valley. Experience amenities that will make your holidays at these wellness & spa and activity hotels in South Tyrol even sweeter. The high service and quality standards of the popular Dolce Vita Hotels in the picturesque Vinschgau Valley will enchant even the most demanding guests. Strong partnerships, motivated hotel teams and professional competence are the hallmarks of Dolce Vita Hotels, your charming spa hotels in South Tyrol. Avail yourself of further information on your favourite Dolce Vita Hotel on this website by the click of your mouse. All hotels are personally run by their owners and will enchant you with a wide range of different extras. Thanks to the hotel association of the Dolce Vita brand, all offers and opportunities at all Dolce Vita Hotels in South Tyrol are at your disposal. All 5 Dolce Vita Hotels are situated within a 30-kilometres radius. Latsch is 8 km away from Naturns and Völlan 30 km away from Naturns. “Where do I spend my wellness day?“ - spontaneous holiday decisions like are made easy here! Would you love to spend your next holidays at one of the most beautiful wellness & spa hotels in South Tyrol? Send a non-committal enquiry to the team at your favourite Dolce Vita Hotel today.